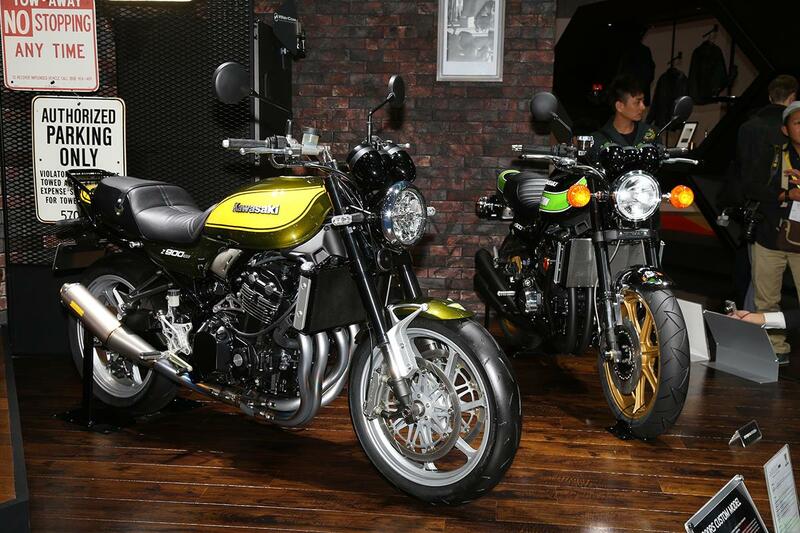 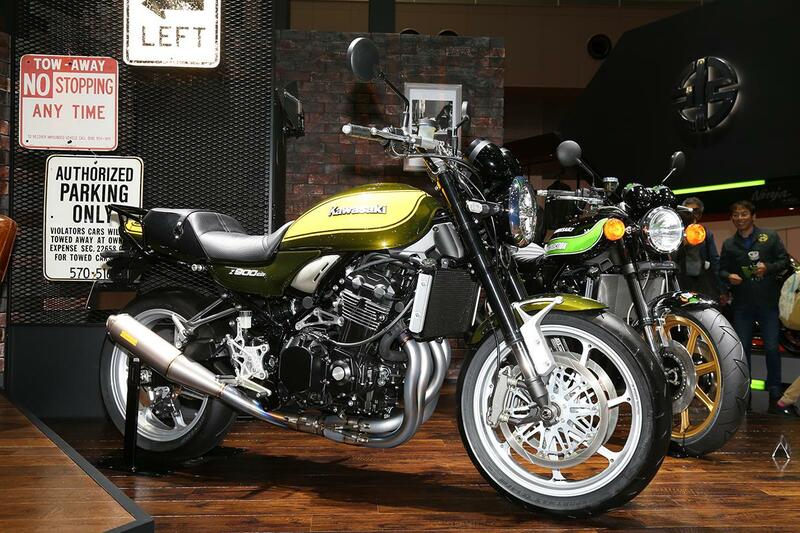 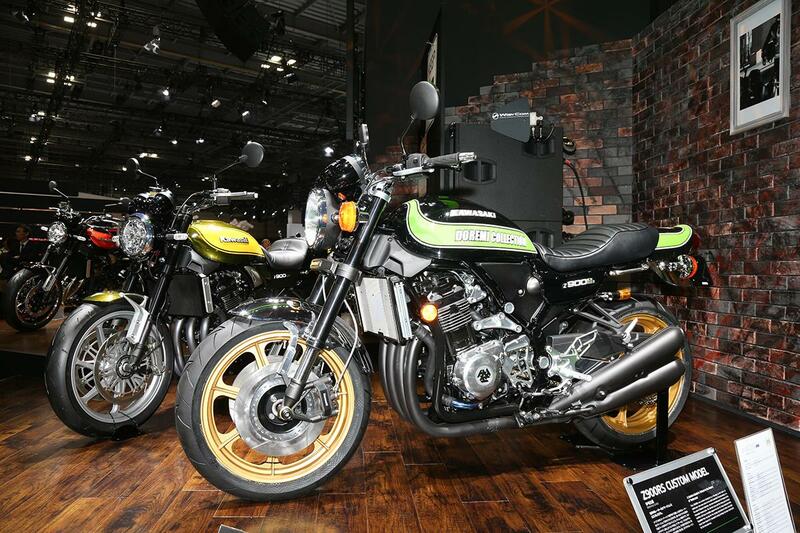 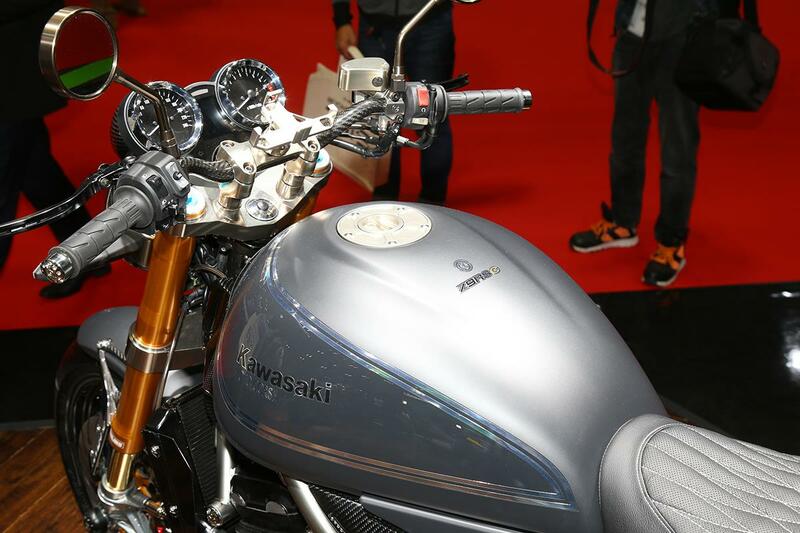 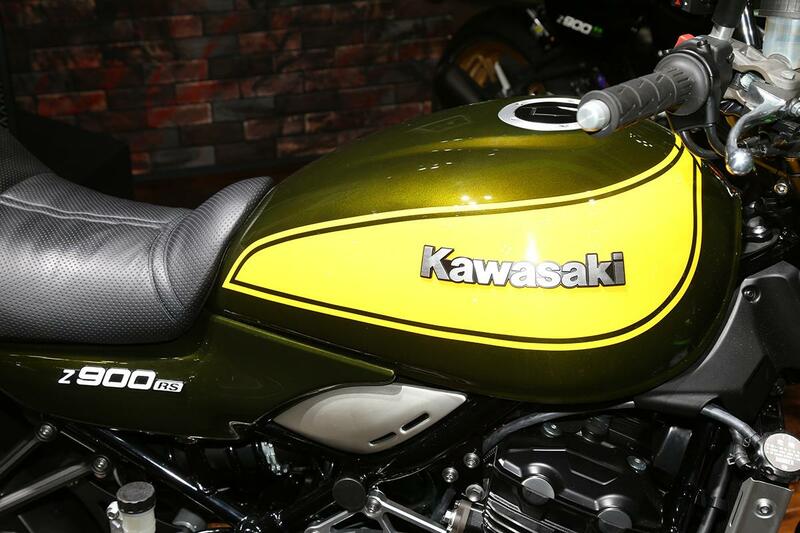 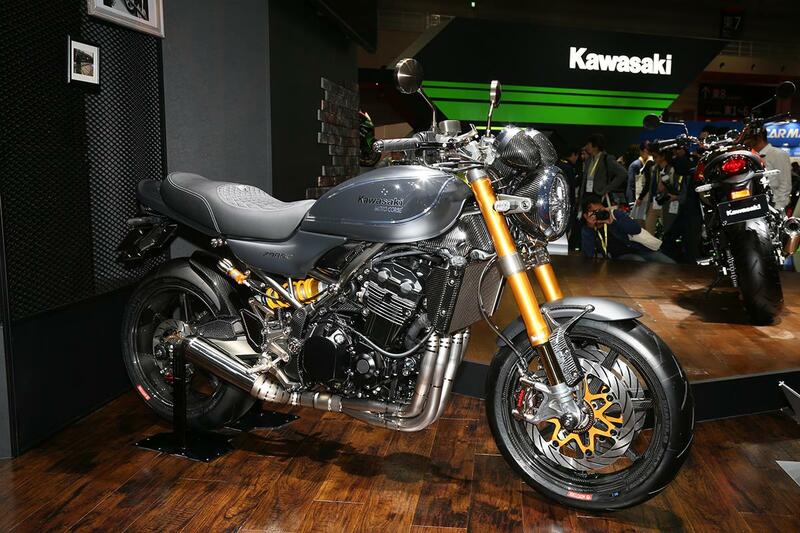 To celebrate the release of the Z900RS, Kawasaki also showed three customs at the Tokyo Motor Show – all dripping in fancy parts but each with their own distinctive style. 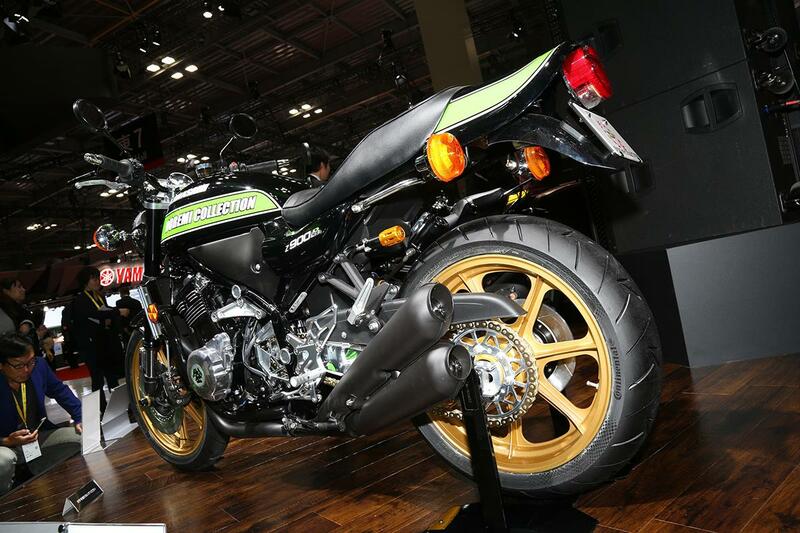 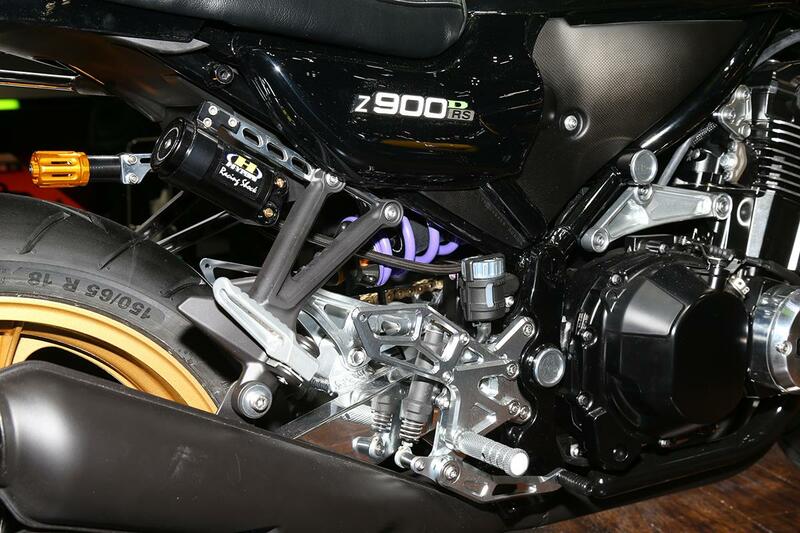 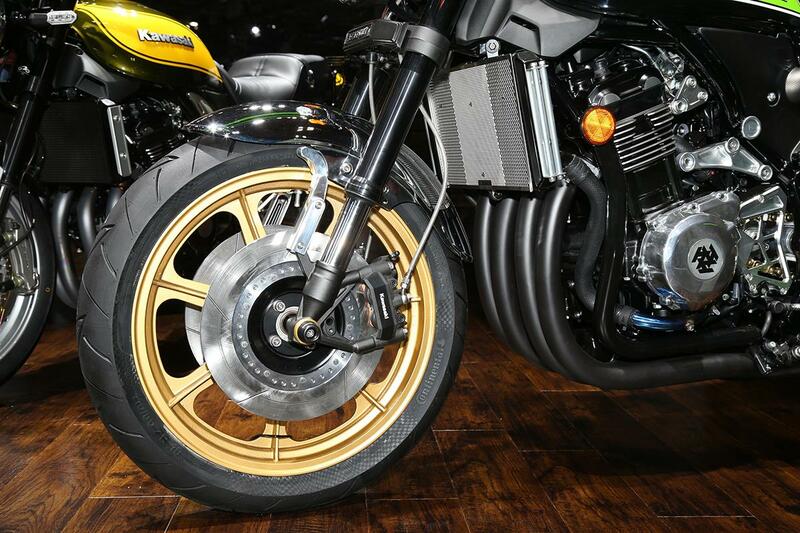 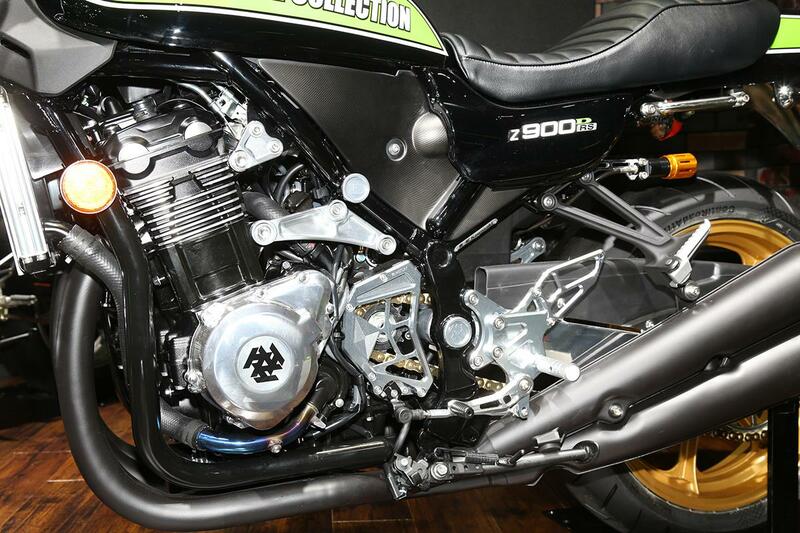 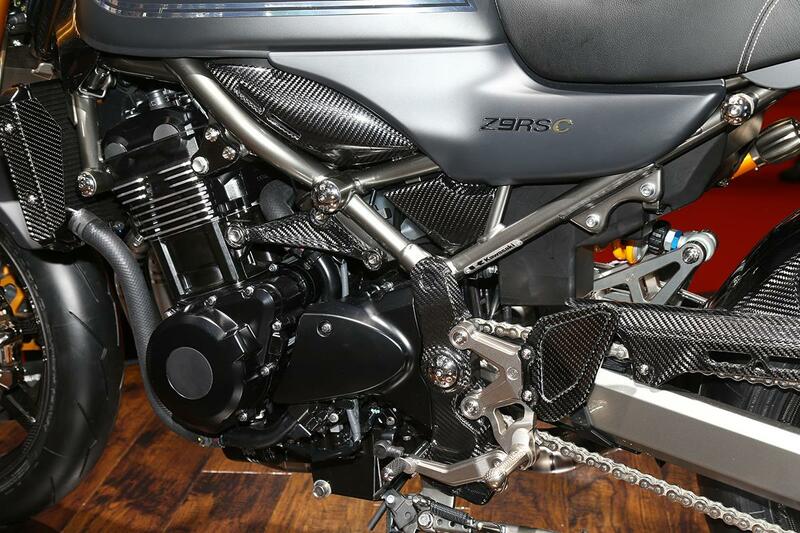 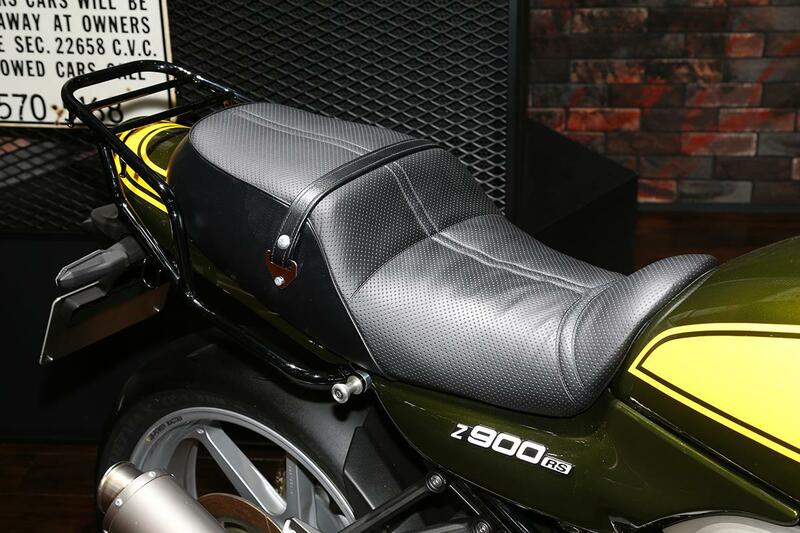 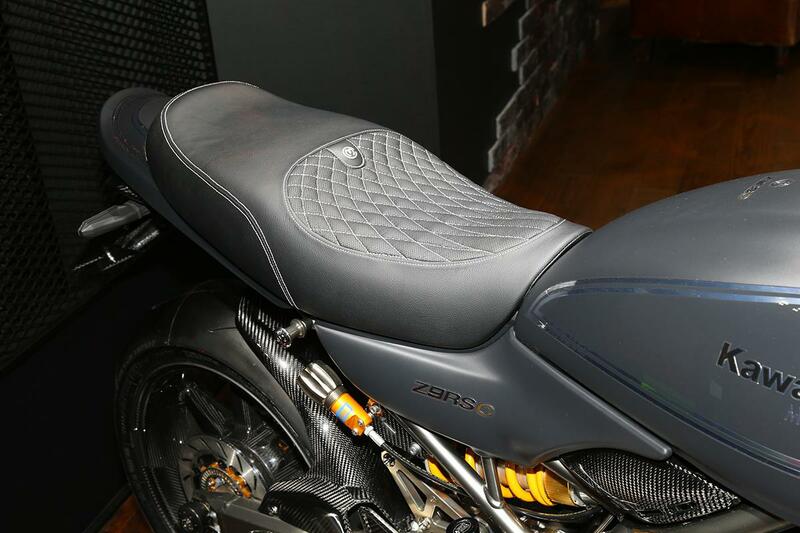 The first is the Z900RSC, so named because almost every part that can be replaced with carbon fibre has been. 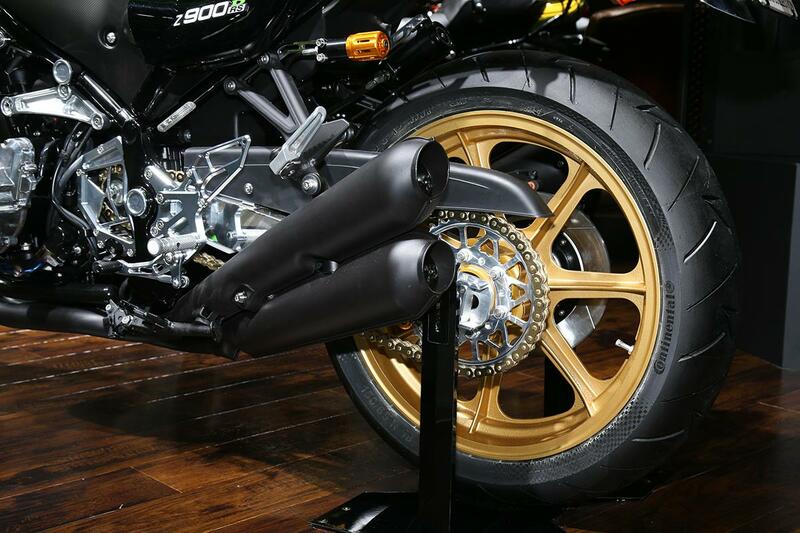 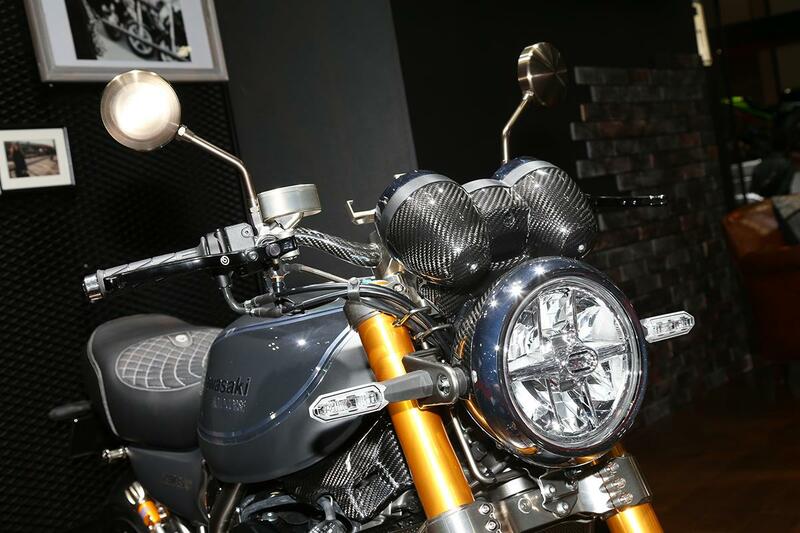 If you were counting the costs, the big outlay would be the BSD carbon wheels but there’s also a carbon headlight, clocks, radiator shroud, frame wrap, airbox cover, heal plates, chain guard, mudguard and handlebars. 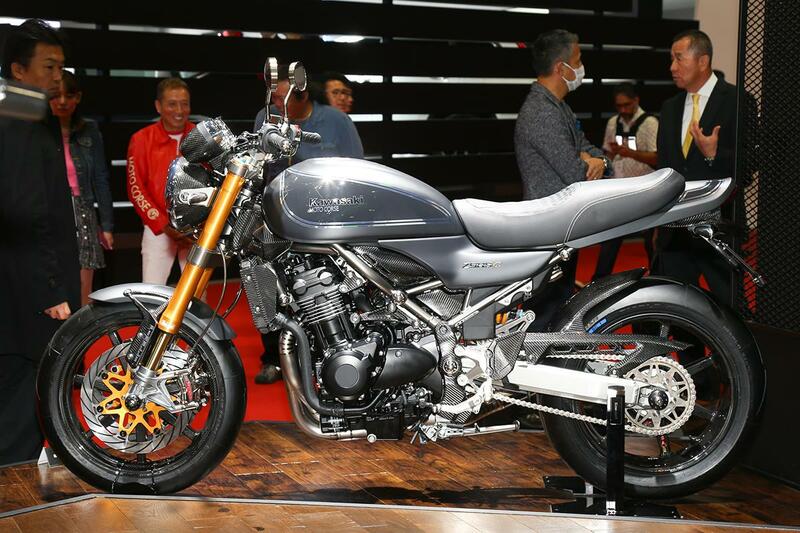 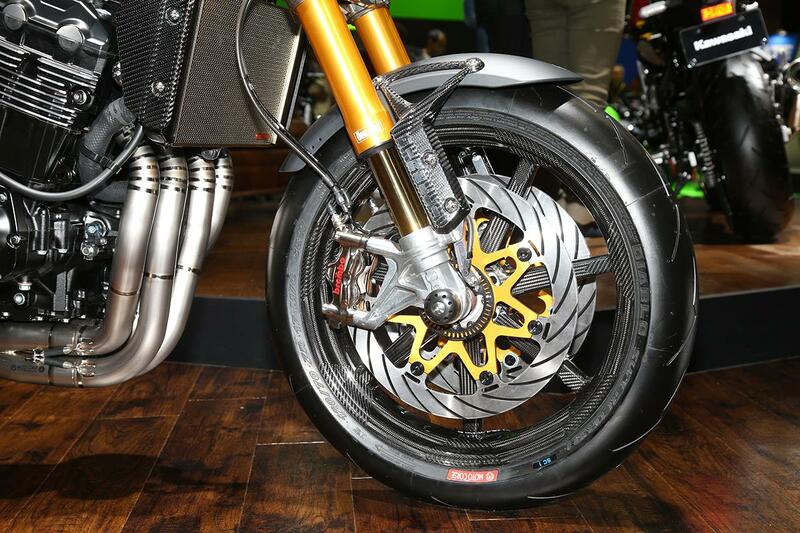 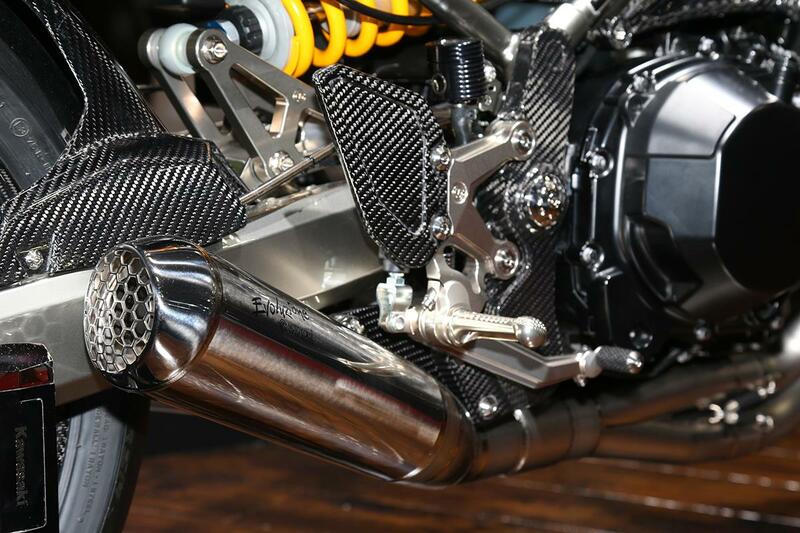 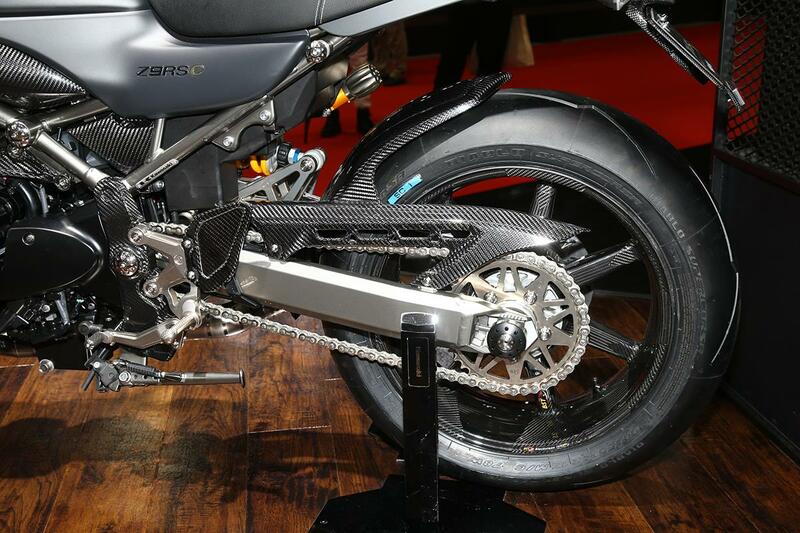 If the bill wasn’t big enough yet, the standard suspension has been swapped for Ohlins, the brakes are now Brembo and it’s got a full titanium exhaust system. 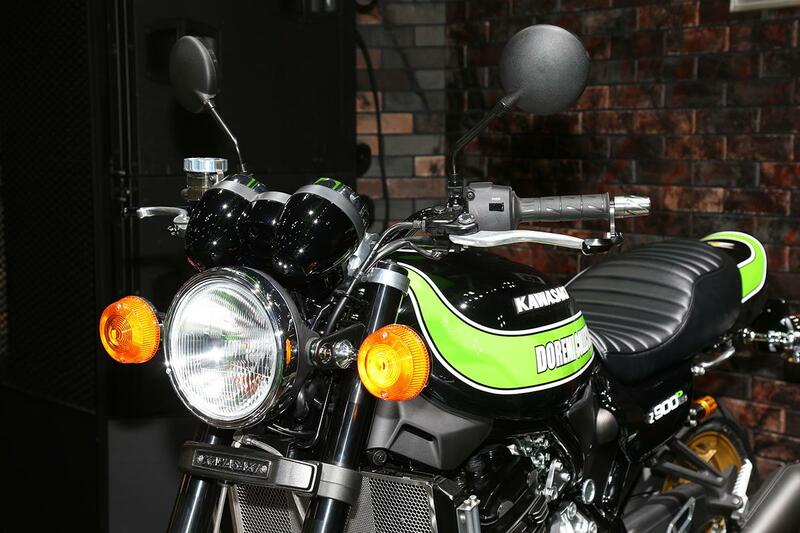 The second Z900RS custom called ‘Beyond Z’ has been made by Kawasaki in conjunction with JB Power, a Japanese tuning specialist who also manufacture parts under the Bito R&D name. 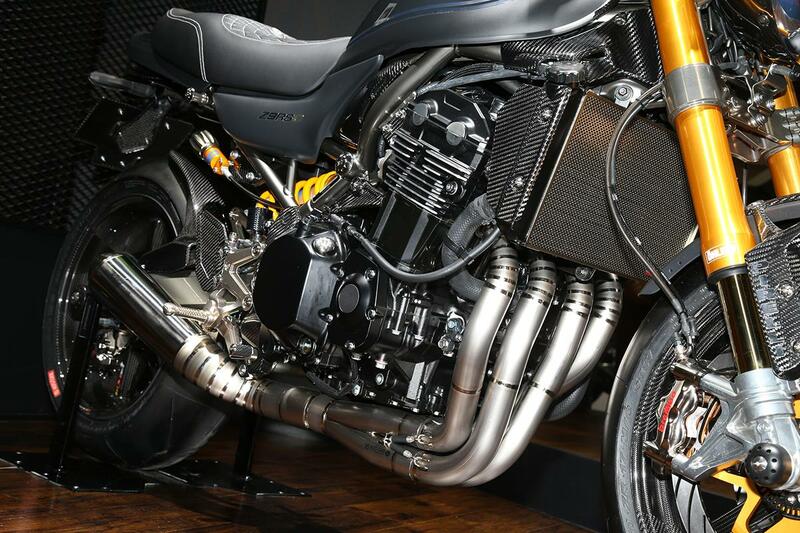 Designed to look like the original tuned Z1s Bito used to produce, Beyond Z features JB Power MagTan wheels, Bito R&D billet brakes, Bito billet rear sets and a custom Bito 4-into-1 titanium exhaust. 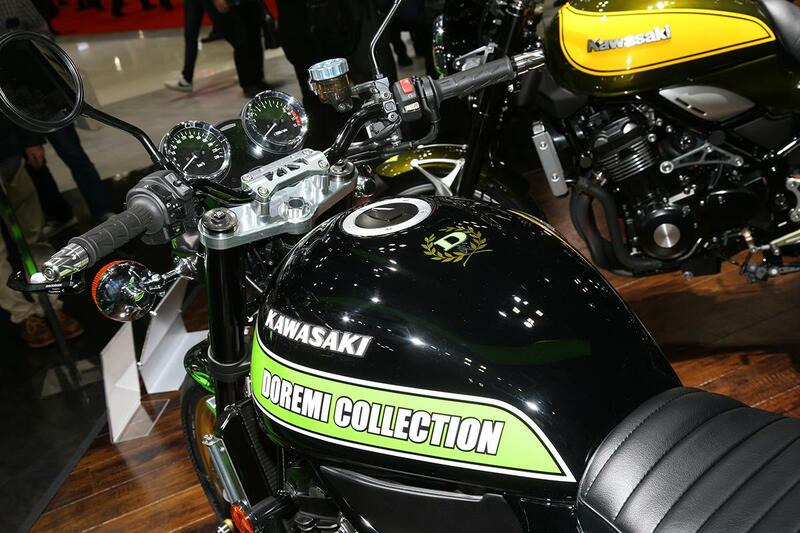 Our favourite has to be the Z900RSD, which is the work of the Doremi Collection. 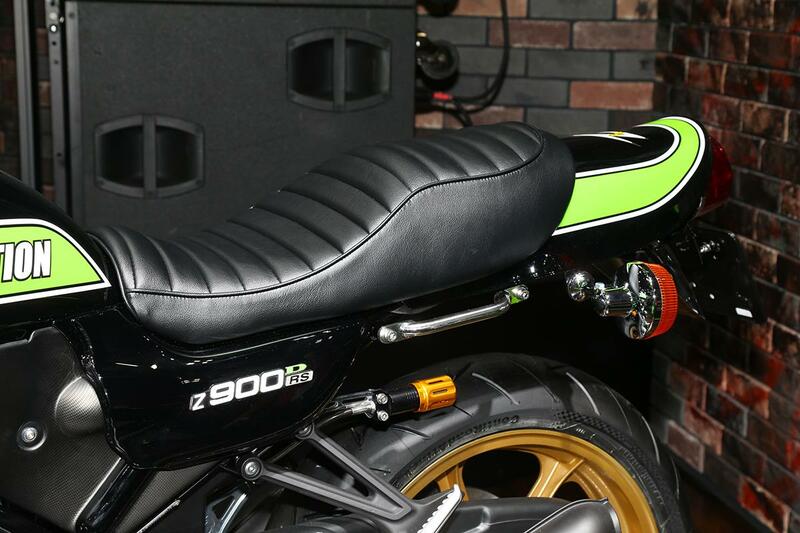 The RSD has been styled as a homage to the racers of yesteryear who were active in the AMA Superbike Championship, so it’s been given an even more retro look. 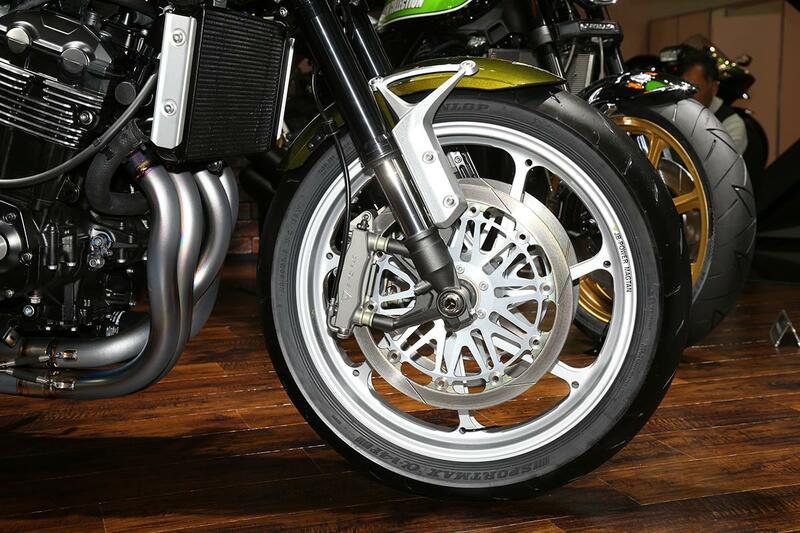 The wheels have been replaced with 18” Campagnolo magenesium replicas and they’re shod with Continental Road Attack tyres. 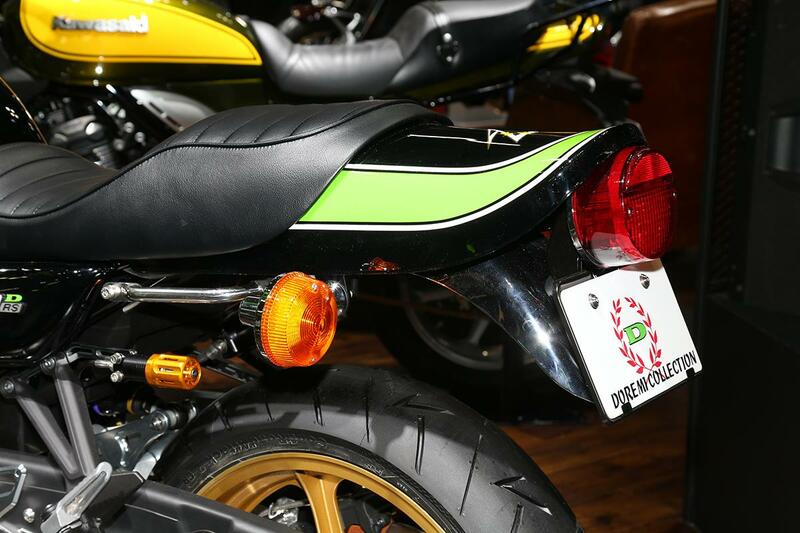 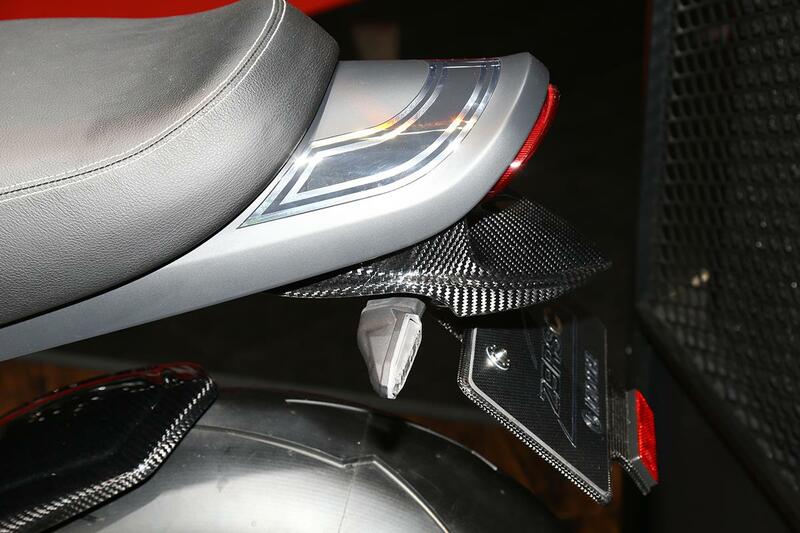 The indicators have been swapped out for classic items, as have the mudguards but the pièce de résistance is the pressed and seam welded 4-into-4 exhaust. 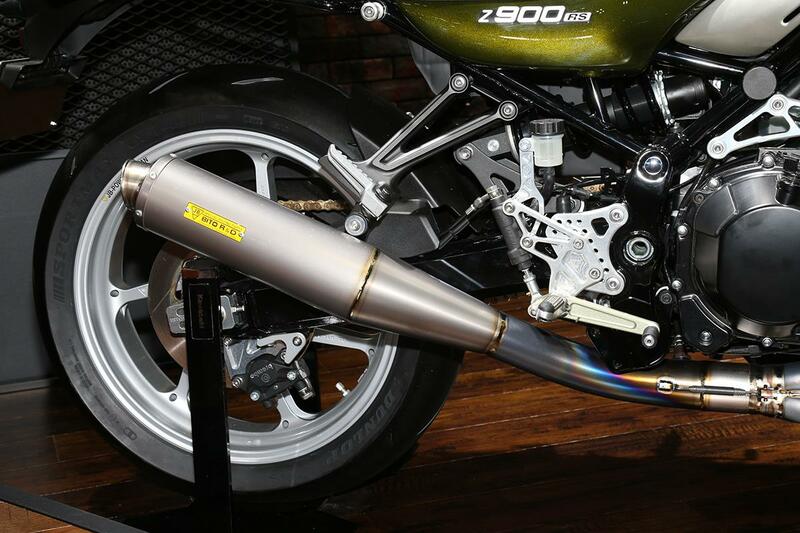 Just recently I’ve taken the plunge and gone for an aftermarket exhaust on the Street Triple RS.